Home values have fluctuated considerably over the past few years and many homes in Connecticut are still being ‘taxed’ based on much higher property value. In addition, we have seen many instances of properties which are very similar to others in their neighborhood being assessed and taxed at a higher rate than their neighbors. Are you paying more than your fair share of property taxes? Sometimes, matters like this can be resolved with a phone call. 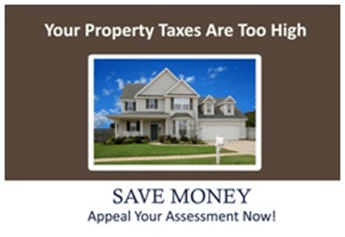 However, if after discussing your assessment with your local taxing authority you still feel as though your property has been overvalued, a professional, independent, third-party appraiser is often your best bet in proving your case, especially if you are appearing before the board of appeals. That’s where Appraisal Source, LLC comes in. There are a lot of different procedures for appealing tax assessments so it’s important to enlist the help of a professional appraisal company that’s experienced and trained in the ins and outs of the appeal process. Keep in mind, according to the Uniform Standards of Professional Appraisal Practice (USPAP), we as appraisers are not allowed to take “shortcuts” — i.e., your research – and use it as face value as part of our independent evaluation. When you hire us for an assessment appeal, you’re commissioning us as an independent, third-party to perform a professional appraisal. Give us a call today at 860-543-4213 or email us at info@ctappraiser.com with any questions you might have and to discuss how we can help you with your tax assessment needs.